Eyes on Sheppard is very proud to announce that we are the first in the GTA to bring you the world renowned EnChroma Colour Blindness Glasses. This groundbreaking spectral lens technology is engineered to increase colour discrimination, enabling access to a broader range of clear, vibrant colours. Part optics, part neuroscience, EnChroma glasses unlock a new world of colour for people with colour blindness. Our glasses are fashionably designed, making better colour vision a seamless part of your everyday routine. The EnChroma lens technology is based on over a decade of research. As a result of these efforts to understand the causes of colour blindness, EnChroma has engineered an optical technology platform that addresses this problem. 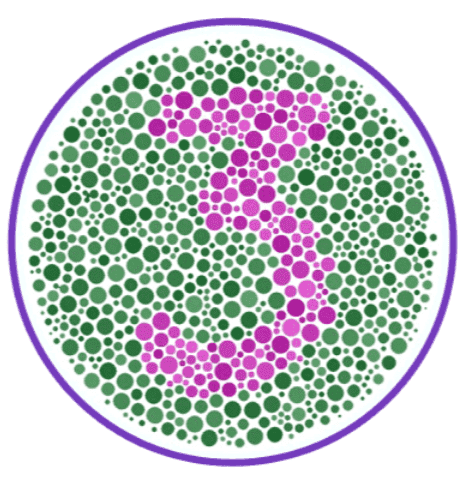 Colour blindness, or colour vision deficiency (CVD), is a condition where a person is unable to distinguish certain shades of colour. The most common colour confusion occurs between reds and greens, with CVD individuals often thinking they are the same colour. WHAT DO AFFECTED PEOPLE SEE? 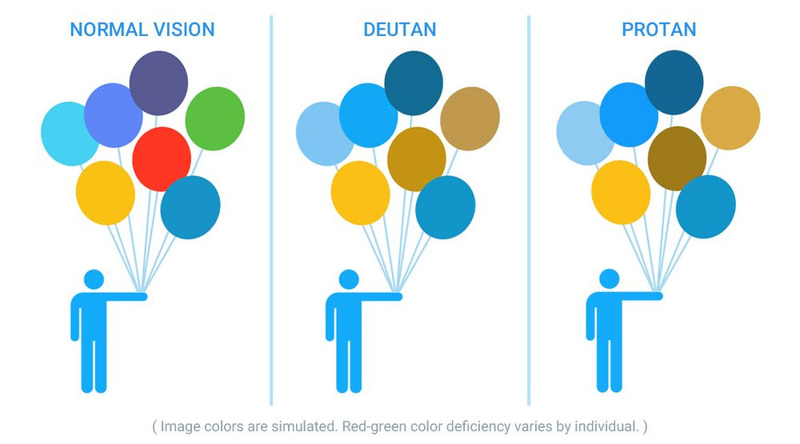 Colour vision deficiency (CVD) affects millions of people worldwide. Men are most commonly affected with 1 in 12 having some form of CVD while the prevalence in women is 1 in 200. Most people who suffer from CVD are not blind to colour, but have a reduced ability to see them. Enchroma lenses use a unique patent-pending technology called ‘multi notch’ filtering, cutting our specific wavelengths of light. The lenses attempt to separate the overlapping red and green cone sensitivities, helping improve vision for people who have difficulty seeing the difference between reds and greens. Click on the image below to take you to the Enchroma website where you can take their colour vision test. Please email the test results back to us so we can help determine your candidacy for this lens. It is important to note that 20% of CVD patients who try Enchroma lenses have a “wow” moment and for 20% of patients there is no impact. The 60% in the middle will have a range of experiences. 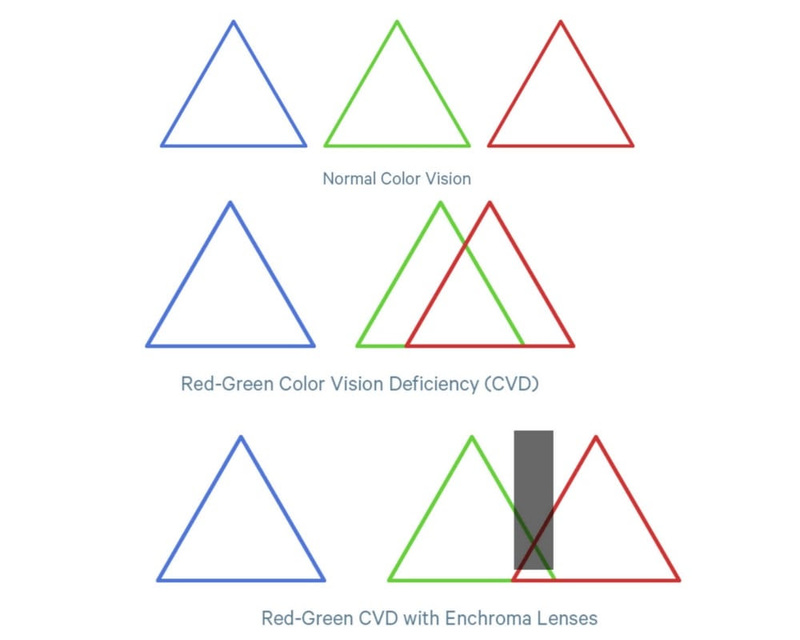 That being said we encourage those with CVD to try Enchroma lenses for themselves to see how their world is affected by this amazing technology. 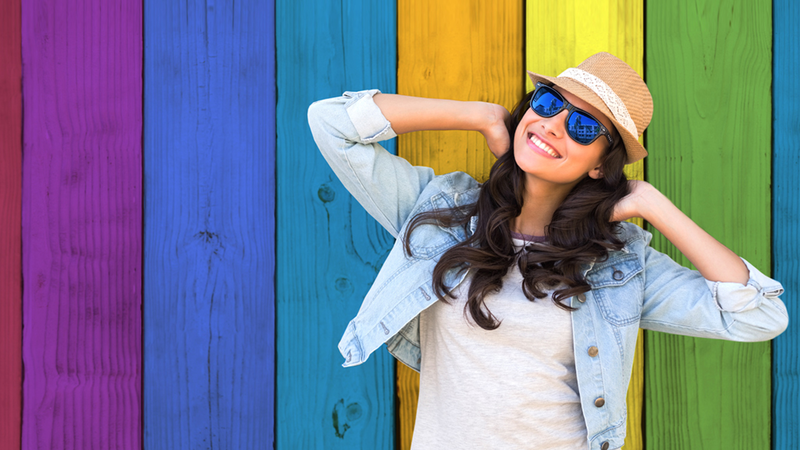 At Eyes on Sheppard we give you the opportunity to try the EnChroma Glasses on and see if they work for you before purchasing them. After you take the online test, contact our office and we will arrange a time with one of our team members, and they will take you through EnChroma experience.